This week has been so gloriously sunny that despite myself and my numerous lists I’ve resorted to pretty much passing out in the sunshine whenever I have a free moment. And then I feel bad for accomplishing nothing, so in order to make up for it I do something totally unrelated to anything I initially intended on doing solely for the sake of novelty. For instance, instead of working on an article, demolishing the massive laundry pile, etc, I chose to make sushi the other day. It was C’s idea, and I’d never made it before. While he was at work I made the sushi rice, dutifully cooling it with a fan and wooden paddle, sprinkling it with rice vinegar, and generally feeling like a badass. We prepped everything up: avocado, matchsticks of carrot (my ultimate nemesis), cucumber, smoked salmon, and shrimp. 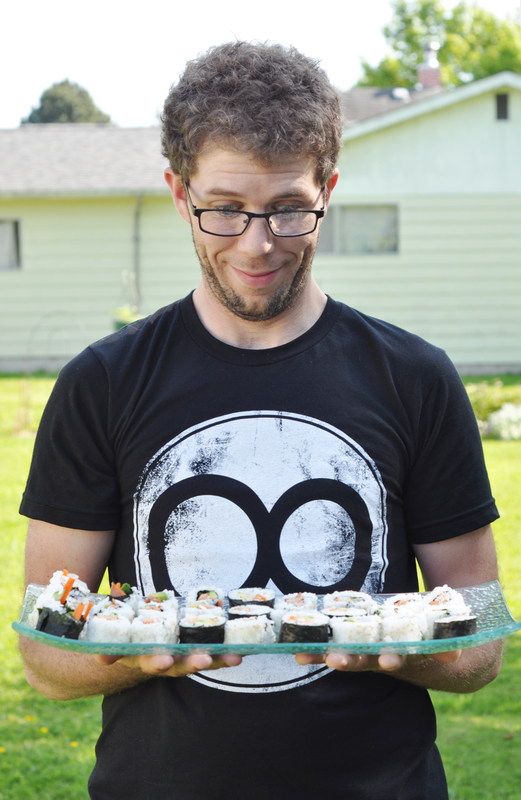 I ended up being the sushi roller, which is awesome, because it is clearly the funnest part of making sushi. And we ended up with these! 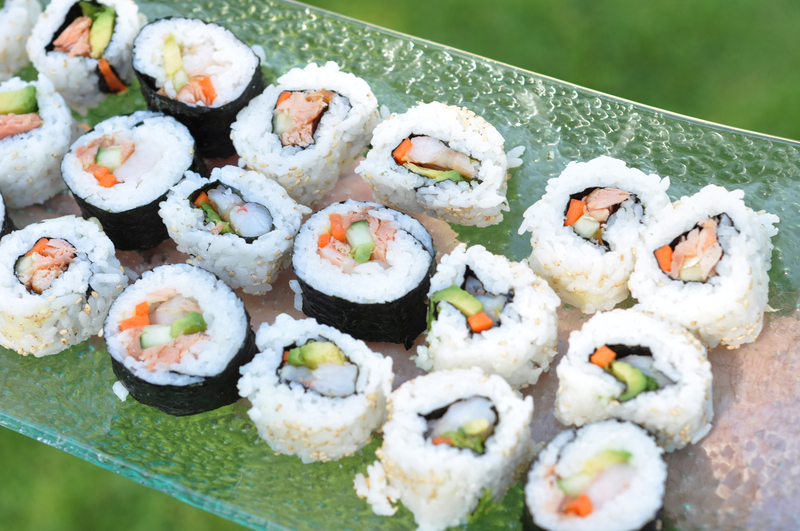 We ate them on the lawn in the gorgeous weather with plenty of pickled ginger and wasabi and soy sauce, along with some edamame on the side.